Hemp oil is one of nature’s oldest remedies. There are people who swear by hemp as something that changed their lives. 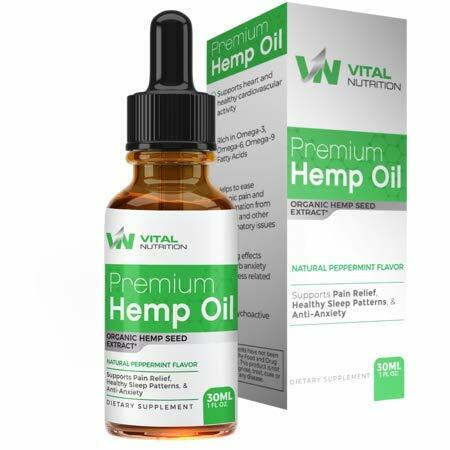 Here at Vital Nutrition we brought our minds together and came up with a new formula that makes hemp oil affordable, convenient, and effective.. While there are plenty of uses for natural hemp oil, many report that relaxation is the most dominant benefit. If you need to unwind after a long day at work, or looking for a way to destress throughout the day, this is a great option. Every 30ML bottle contains a one month supply of this premium blend. You can take up to two servings a day. Simply fill up the dropper about ¾ of the way, put it under your tongue, let it set for a minute, then swallow!